Updated: The hypnotist is Daniel Huguet, the TV Show is La Nit del Mystere. 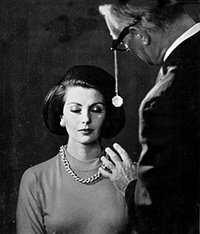 cet hypnotiseur est daniel huguet ,il est aussi français. une question me vient ,ni a t'il que des hypnotiseurs français qui passe a la television . beaucoup d'autre sites parle des hypnotiseurs tony kamo, tusam, guicas caselas, n'existe t'il aucun enregistrement vidéo de leurs passages dans des émissions télévisions.merci par avance de vos contributions. I'm going to go ahead and assume the Society can speak French. Basically what he said (I think) is that he finds the fact that this site doesn't make you register and\or pay before you can see any video quite refreshing. Thanks for sharing this link, but unfortunately it seems to be down... Does anybody have a mirror or another source? Please reply to my message if you do! Hello. Facebook takes a [url=http://www.freecasinogames.gd]online baccarat[/url] take a chance on 888 casino apportion: Facebook is expanding its efforts to institute real-money gaming to millions of British users after announcing a apportion with the online gambling companions 888 Holdings.And Bye.